This thread began with the startling announcement on Mary Morgan’s Facebook page about a letter she had written to the Board of Commissioners about (Commissioner) Conan Smith’s application to the open position of County Director of the Office of Community and Economic Development. In the letter, she pointed to a substantial conflict of interest when a sitting commissioner applies for a county position. 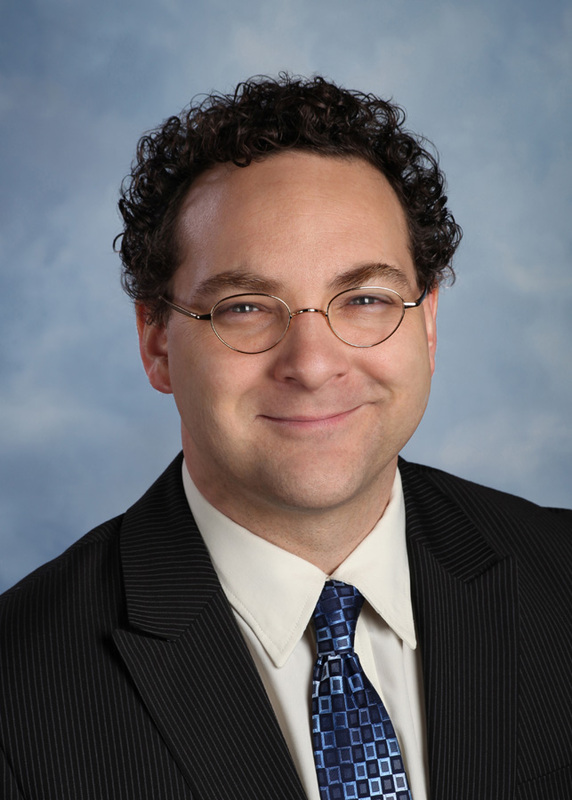 Smith soon resigned his seat, but retained his place on the November ballot. We discussed those implications at some length. Now the BOC has moved with some alacrity to resolve part of the tangle, by setting a firm schedule for choosing a County Administrator. But as we pointed out in our previous post, this leaves a big piece of what one might term the “County leadership puzzle” yet to be resolved: the OCED post to which Smith applied. Now we know even more of that picture, especially regarding Conan Smith’s trajectory to this point, thanks to the continuing journalistic inquiries by Dave Askins (late of the Ann Arbor Chronicle). Dave now publishes via Twitter (do consider following him – the jokes are good too) and posts documents in Dropbox. Most recently, he obtained a number of key documents by FOIA to Washtenaw County and the City of Southfield. (Southfield is one of the cities represented on the Board of Metro Matters/Michigan Suburb Alliance.) It is evident from them that this story has gone from high drama to outright melodrama. I have been observing Conan Smith (or just “Conan” – as everyone calls him) ever since he ran a primary against me in 2002 for the County Commissioner seat I occupied at the time. I defeated him handily but chose not to run in 2004. He won in a three-way primary and has occupied that seat ever since. Here are the things I know about him. Official BOC portrait of Conan Smith. Date not known. (1) He is very deeply affected by his family history and frequently cites it as his motivation and also as a reason why he should be supported politically. His grandfather was Al Wheeler, who is a civil rights icon in Ann Arbor. He was the first and only Black mayor and Wheeler Park near Kerrytown is named in his honor. Conan’s mother, Alma Wheeler Smith, has served in many elected and appointed offices, and is well known and well respected in Washtenaw County. His aunt, Nancy Wheeler (known for most years as Nancy Francis) was a much beloved, though sometimes controversial, juvenile court judge. (2) He is a committed regionalist. 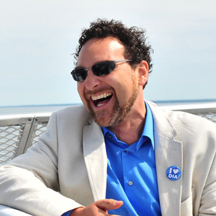 In 2002, he joined the fledgling Michigan Suburbs Alliance (MSA) as its Executive Director. This was a nonprofit that allied the suburbs surrounding Detroit for mutual benefit. In 2010, as that history describes, the organization began rethinking its relationship to the City of Detroit (which has, notably, been undergoing a renascence) and has been rebranding to Metro Matters. 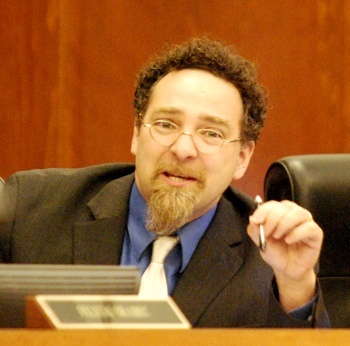 Conan has employed all of his resources, including his role as a County Commissioner (and Chair of that BOC), connections through the MSA, and his wife (Senator Rebekah Warren), to bring about the Regional Transit Authority. (Here is a post with some historical information about the genesis of the RTA.) Originally, the RTA was intended to include only the three metropolitan Detroit counties (Oakland, Wayne, Macomb) and the City of Detroit. With Senator Warren’s assistance, Washtenaw County (where Conan had an important seat) was added. The Metro Matters website celebrates the RTA as one of its signature accomplishments. Quite recently, Metromode online magazine (a collaborator) highlighted Conan and his regional vision. In that article, Conan proposes a similar tax-sharing program to one used in the Twin Cities (Minnesota) area, where a new tax base in one municipality generates new taxes for use by other municipalities. This will be a very tough sell in Michigan, where border controls on tax redistribution are set into our constitution. Another notable example was Conan’s push for Act 88 taxation. As related by the Ann Arbor Chronicle, he was the instigator to have this tax administered by OCED, and he caused the rate to be increased to homeowners. The tax has funded mostly economic development projects, especially Ann Arbor SPARK. This was another example of a practice by the BOC in recent years to impose taxes without a public vote. That practice has now been challenged in court (someone did decide to sue). This week the BOC will likely act to cease collecting the tax. The memo from the Interim Administrator lays out the circumstances fully. The position with Michigan Suburbs Alliance seemed to be secure. It was formalized in 2003 as a coalition of Detroit-area suburbs, to solve suburban problems. But as time passed, it also seemed to be passing MSA by. With the resurgence of the City of Detroit, all the glamour and excitement became invested in the big city. 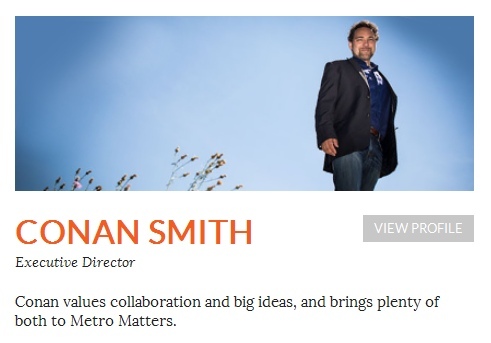 Conan Smith posted an announcement in February 2015 that the organization would be renamed “Metro Matters”. A major impetus for this was evidently Smith’s hard work putting the RTA together. “We sat at the table to write the legislation that established the RTA, an historic achievement that brings us closer to bridging the city/suburb divide. ” His announcement points out the success in getting the M1-rail project (now known as QLine) together. But that is a central Detroit project, sponsored by Detroit business interests. The Board of the Michigan Suburbs Alliance is made up of suburban officers, and the suburbs have been the major source of funds for the organization. We don’t have the financial records to explain what happened, but Conan gave a decent explanation to his Board in December 2015, via a memo. …over the past several months in particular, we have failed to generate the financial support necessary to sustain the operations of the organization at the high level we anticipated. As you can see from our most recent financial statements, our overall position is strong but the statement of cash flows shows us spending far more than we are taking in. What this means directly is the laying off of our staff throughout the month of January and the closure of our physical office. I will continue to work on behalf of the organization to get a stronger funding base underneath us, and Rick Bunch will continue to lead the Energy Office, which has strong prospects coming off a major victory at MPSC. Hayley Roberts and Ellen Vial will be retained on a small contract basis to see through two of our grant-funded projects. The balance of the staff’s positions will likely be eliminated. The reformation of what was once a collaboration of the inner ring suburbs and then in my opinion worth the time as a municipal official to participate in has been a smoke and mirrors grad project for a long time. When we actually did represent the common shared interests of the metro area suburbs we were a vehicle of advancement and a leader in efficient suburban government, interests and needs that exist today that is not served. Emails from Conan through March are an attempt to explain matters to his Board. Evidently they had demanded more direct oversight of the finances of the organization. There is also one sorrowful email from a vendor who had not been paid. It is also made clear that by this time Conan and his chief deputy have been serving without paychecks, and she (Hayley Roberts) was evidently leaving to a paying position. Things moved rather precipitously. Edward Klobucher, City Manager of Hazel Park and the Chair of the Board, scheduled a Board meeting (to which Conan was not invited) for August 26. “We will discuss the current situation with Metro Matters and hopefully chart a new course for the future.” Klobucher met with Conan on August 30 to inform him that he was suspended and required to turn over all materials. The last email available from Dave Askins’ FOIA indicated that the Board’s attorney (Brandon Fournier) had met with Conan’s attorney (David Blanchard) and they were discussing a separation agreement, with no comment for the media. As we reviewed in the previous post, there are two leadership styles that an administrator may adopt. One is to make the mechanism run smoothly and see that everyone in the organization functions well and happily. The other is to be the Big Picture, Big Ideas person, who seeks new frontiers and incidentally a certain place in the limelight. There are, of course, overlaps; Big Picture people may run a perfectly good organization and good managers also have new ideas. But the style will influence the direction of the organization profoundly. It is clear, if not already from his history, then from his letter of application, that Conan Smith is the Big Picture – Big Ideas man. The header of one important paragraph is Strategic Leadership to Achieve Big Goals. The entire letter (except for the first three paragraphs, which are about his family history) fairly sparkles with his ambition and wish to grasp the department and even the entire County by the shoulders to rush up that mountain. He also touts his extensive connections within the community. Clearly he sees himself as a major player in the County and in the region. It could be a very large presence for a new County Administrator to share space with. I hope that the Board of Commissioners has the wisdom (and the votes!) to pass the resolution on next week’s agenda that will ask the Interim Administrator to hold off filling the position till a new Administrator can be named. NOTE: I did not include a link to the email texts that Dave Askins obtained by FOIA. These are contained in Dropbox files and are somewhat difficult to read (they are text files, in Notepad). Because of some comments, it seems that I need to provide substantiation for the statements that are based on these files. This pdf has hyperlinks to the files, and also a summary of their content. UPDATE: Mary Morgan will be publishing a follow-up to her previous letter in The Ann. Presumably this link is to the article in the upcoming print edition. (I have not received my copy, which is usually distributed in the New York Times, yet.) She includes more inside information about the Conan Smith machinations and the County OCED position. She also has some very apposite opinion points to make. SECOND UPDATE: Today (October 12, 2016) Conan Smith notified officials at Washtenaw County that he was withdrawing his application to the OCED position. As has been the case throughout this story, the former Chronicle personnel broke the story. THIRD UPDATE: Now the “official” version (Ann Arbor News, October 13, 2016). Note that it states that there is only one other person under consideration for the post. FOURTH UPDATE: A new article, Ann Arbor News, October 17, 2016, includes an interview with the Chair of the BOC re the tangle surrounding the OCED position. FIFTH UPDATE: An article by Mary Morgan in the October 2016 issue of The Ann magazine discusses a number of points at length, including more background, the ethics of the situation, and the effect on local civic participation. http://www.theannmag.com/drowning-in-a-shallow-candidate-pool/ It ends with a plea to vote on November 8. SIXTH UPDATE: Andrea Plevek has been named the new OCED Director; here is the formal announcement from Washtenaw County. Conan Smith was re-elected to his seat on the Board of Commissioners. He received 17029 votes (90.56%) to the 1776 write-in (Jen Eyer) votes (9.44%). This entry was posted on October 2, 2016 at 8:42 pm and is filed under media, politics, Regional. You can subscribe via RSS 2.0 feed to this post's comments. You can comment below, or link to this permanent URL from your own site. Wow! I wonder what Duchane meant by “smoke and mirrors?” It sounds like Smith may need some time to himself? Vivienne, great investigative work and great writing. You have exposed a lot of important “details” and remained objective. It takes more time to do this kind of investigation completely than the “print” journalists can afford, so we are fortunate to have someone with your background and experience to delve into this for the rest of us. Thanks, Margaret. I did in fact try to present a journalistically clean narrative, but of course no one is completely objective. I’ve known Conan for a number of years, so I had to work hard not to be punitive in my approach. As the next comment shows, there are other viewpoints. Since I am mentioned in this blog post I would like to clarify: I have been paid for all work that I completed for Metro Matters, both as a full-time employee and on contract. The work of Metro Matters was never about “glamour” or “excitement”–it was always about trying to make metro Detroit a more equitable, sustainable place. Those goals necessarily include both suburbs and Detroit. The shift to Metro Matters was because the name “Michigan Suburbs Alliance” indicated that we were exclusive when we were not. It was not nearly as cynical as this post makes it seem. On funding: I’m not going to get into the specific fundraising challenges because it’s not my place, but suffice it to say they were not melodramatic nor were they unique to our organization or even our region. When foundations are expected to act as a stop-gap for government or to save entire large cities, there’s not as much money for research that includes the suburbs. In addition, the board when I left was no longer exclusively suburban officials but also included leaders from business, nonprofit, and academia. In fact, as far as I know, Steve Duchane resigned from the board this past spring. It was after my departure, but I imagine it was in part because most of the Board *did* agree with the course of the organization–at least that was the case throughout the transition from MSA to MM. After all, they voted to proceed at every step of the transition. So I encourage people not to read too much into criticism from one board member–specifically one who laments the “gifts” and “poaching” and longs for an organization that competes with Detroit once again rather than collaborating and working together like thriving regions. Of course, sometimes one loud negative voice can have an outsize impact. That’s why I felt compelled to comment here and say that I’m proud that I was able to be a part of MSA/MM for 6 years, and that certainly includes working for and learning from Conan Smith. I’m so glad that you commented, Hayley. As I responded to your similar comment on Nextdoor, I have no doubt that you and the rest of the staff were working from strong convictions. It is a pleasure to see young people involved in work that should make a difference. The Dropbox files from Dave Askins were not linked here because of some strange inhibition on my part. I should probably put them in. Those emails reveal a great deal more than I reported. Steve Duchane evidently stayed in – he was still commenting in August (the source of the “no deliverables but plenty of pizza” comment”. A number of other people from other arenas wrote in to say that they had been invited to join but never actually invited to a meeting, or meetings were when they could not attend. It was not my intention to be “one loud negative voice”. I did try to put things in context of a narrative and there are many viewpoints and experiences for such a strong circumstance. I don’t doubt that the same story could be told with a completely different tone and conclusion. I hope that you find another situation that makes good use of your talents and that in retrospect you’ll find the MSA experience to have been a valuable one in your own career development. As if you didn’t know, there were TWO write-in candidates for District 9 seat; to say Jen Eyer received all the write-in votes is simply false. The county does not split write-ins received by candidate, for all we know the 1700+ votes went to the other candidate – Jeff Hayner. Yes, you are correct, the County elections page does not detail the write-in candidates and the votes they received. I’ll confess to a certain blindness. I supported Jen Eyer and she ran a fairly decent campaign; I never saw any material from Jeff Hayner, except for a couple on comments online. I’m sure that there are records of the actual votes for these two candidates and since they both registered as candidates for write-in, presumably if one of them had gotten enough votes to come close to winning, we’d know more.